For the last few years, Jason Lambertson’s farm near Pocomoke City on the Lower Eastern Shore has been home to an expensive experiment. The third-generation farmer received nearly $1 million in state funding to build a giant poultry waste converter and distribute its main product: fertilizer. Inside two-story-tall gray tanks, bacteria eat tons of manure collected from four of his chicken houses. At the end of a month, Lambertson is left with nutrient-rich fertilizer products and a type of gas that powers the entire system. The effort has had its ups and downs. Since it started operating in the spring of 2017, Lambertson’s anaerobic digester has gradually ramped up production. But his company, Planet Found Energy Development, has yet to realize two key potential profit sources: selling the fertilizer or generating enough electricity to send to the local power grid. The system is projected to lose about $123,000 a year, rendering it “not financially feasible,” according to a January 2018 report by the University of Maryland Environmental Finance Center. 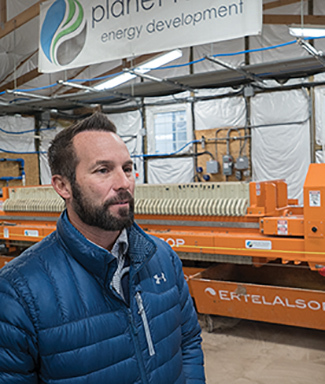 Lambertson and his business partners, though, argue that the technology will be profitable once it is scaled up to handle manure from multiple farms. Planet Found’s plight underscores the challenges that have befallen the projects that like it, were funded by the Maryland Department of Agriculture’s Animal Waste Technology Fund. Since its 2014 inception, the program has handed out nearly $6 million to eight projects that promise to help farmers find uses for manure beyond fertilizing local fields. Its main target: the nearly 400,000 tons of chicken litter generated each year in Maryland, too much of which makes its way into the Chesapeake Bay. Four projects received funding in the last two years and are still getting off the ground. But independent assessments and mandatory self-evaluations of the other four projects depict a trial-and-error environment in which equipment regularly failed and financial losses mounted. All, however, have answered important questions about how to best operate the technologies and develop a market for their products, perhaps paving the way for the next wave of attempts, said Louise Lawrence, who retired recently as head of the MDA’s resource conservation office but continues to consult on the waste-technology projects. The funded projects represent a mix of technologies. Some churn out fertilizer coupled with methane that can be transformed into electricity for the farm or sold to the power grid. Others simply produce compost in a relatively quick, high-tech fashion. Stephanie Lansing, a University of Maryland agriculture researcher, has studied some of the funded projects and come to a timeless conclusion: “Being an early adopter is very challenging and expensive,” she said. Anaerobic digestion is a tried-and-true technology in Germany, for example, where there are more than 10,000 working systems, Lansing said. But in the United States, where there are fewer than 300, farmers and other users struggle to find replacement parts as well as technical support for maintaining the systems. Furthermore, because of the relative dearth of success stories, U.S. lenders are less likely to make capital available to construct the systems. Many of the Maryland projects show that what works in a laboratory doesn’t necessarily work out in the field, said Jarrod Miller, who worked with Eastern Shore farmers for years as a University of Maryland extension agent. The waste technology fund began as an olive branch to farmers at a time when they were facing greater pressure to limit sources of nutrient pollution. Farmers typically use poultry litter, a combination of manure and bedding, as fertilizer on their corn and soybean fields — crops that are fed to future generations of chickens. But the agricultural sector often spreads more manure than those crops can absorb, particularly on the Eastern Shore, where Lambertson’s farm is located. The resulting runoff is a disproportionate part of the Bay’s overall nutrient overload — which triggers massive algae blooms in the Chesapeake Bay, creating a cascade of ecological consequences. Bay cleanup plan by 2025. It calls for the jurisdictions to sharply reduce the amount of nutrients — mostly nitrogen and phosphorus — as well as sediment and other pollutants that reach the largest U.S. estuary. An important part of Maryland’s effort to reduce nutrient runoff from agriculture debuted in 2015. The new regulation, called the phosphorus management tool, required farmers to measure the amount of fertilizer they spread on cropland based on the amount of phosphorus already in their soils. Fields already saturated with the nutrient are barred from adding more. From the earliest days of the rule’s development, Lawrence recalled, one question dominated: What would those farmers do with their chicken litter? In many cases, it couldn’t simply be sold to farms where phosphorus values were low, because the transportation costs would make the fertilizer too expensive. “We felt it was a good policy to try to get ahead of it and try to come up with some alternatives for folks who couldn’t use poultry litter agronomically anymore,” Lawrence said. The MDA began seeking proposals for waste technology projects and funded the first four in 2014. Four years later, most of the results are in, and they’re not entirely what officials had predicted. Green Mountain Technologies, based in Washington state, had some modest success with its Maryland project, Lawrence said. 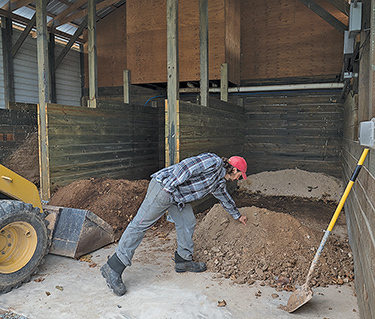 The company received a total of $388,000 to install dumpster-size composting units at two farms — a horse rescue farm in Howard County and a dairy farm in Frederick County. The technology uses a free-moving augur to stir the manure in a large bin, theoretically accelerating the natural decomposition process while providing a lighter, more usable compost material. While the systems performed largely as expected, concerns over their financial feasibility remained, according to evaluations conducted by University of Maryland researchers. At the horse rescue farm, they estimated, the composting unit would pay for itself within 14 years. But they cautioned that the estimate is based on a situation in which the farm formerly spent thousands of dollars a year hauling manure to a landfill. While common in the equine industry because of the low nutritive value of horse manure, landfilling is seldom practiced by cattle and poultry operations. Meanwhile, at the dairy farm in Frederick County, researchers predicted that the original investment cost wouldn’t be recovered until the 24th year of system’s estimated 25-year lifespan. It was a promising day in December 2016, when Bob Murphy fired up the brand new, combustion system at his sprawling poultry farm in Dorchester County — so much so that Gov. Larry Hogan visited the farm in early 2017, eagerly touting the state’s $970,000 investment. The system, made by Ireland-based Biomass Heating Solutions Ltd., was designed to generate electricity from poultry litter. “This really is innovative technology,” said Hogan, flanked by his Agriculture Secretary Joe Bartenfelder and other dignitaries. But the sense of promise quickly faded. While BHSL has a long track record with building and maintaining such systems in Europe, its first U.S. foray has all but failed. The system began operating in December 2016. But it broke down repeatedly, leading to “lengthy down times,” according to an MDA analysis. By March 2018, it was shut down. Maintenance was a challenge from the beginning, because the parts had to come from overseas and required metric tools, Murphy said, adding that he thinks BHSL is “probably going to give up” on the project. The system draws manure down a conveyor belt into a chamber, where it is burned while suspended by jets of air. The roiling action leads to better chemical reactions and heat transfer, experts say. The process generates electricity as well as ash that can be sold as a soil fertilizer. Before the breakdowns, the technology was yielding a net annual financial loss of about $2,500, analysts found. Supporters also had hoped that its production of electricity would eliminate the farm’s reliance on expensive propane and encourage more liberal use of the houses’ heaters. More heat could put extra weight on the chickens — and more profits in Murphy’s pockets. But the system never got a chance to run long enough to produce a difference, the MDA found. For his part, Murphy hopes to find another vendor to salvage the equipment, so he can give it another try. Lambertson said he never expected his system to make money at its current single-farm size. His plan is to test the digester on a small scale before opening a large facility that can process litter from farms across the Delmarva region. But even if his expansion plans don’t yield financial fruit, he has a loftier ambition in mind. 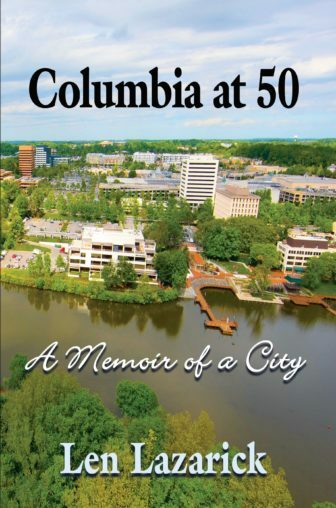 “Early on, people would ask, ‘What is the benefit?’ and I would turn it around and say, ‘What is the benefit of the Chesapeake Bay to the state?’?” he said. Lambertson received $676,000 from the MDA manure program and $900,000 from the Maryland Energy Administration to construct the system. Private investors have chipped in about $1.8 million as well. Maryland isn’t the first state to subsidize animal-waste technology startups, but its focus on poultry litter is unique, Lansing said. It comes down to the nature of the manure. Litter’s dryness can defeat the microbial process inside anaerobic digesters the same way that the drying effect of the alcohol in hand sanitizers kills germs, she said. And its high nitrogen concentration can produce less-than-optimal biogas, the system’s methane-infused energy component. Lambertson said he’s intentionally taking things slow. More than a year into production, his staff maintains the system at no more than one-third of its capacity for processing 3.3 tons per day. The system occupies about a football field’s worth of space on his farm. It represents far more production capacity than he needs for his farm alone. He fully expects his expenses, as calculated by the ton, to plummet once he begins trucking in manure from other farms. In addition to the electricity he will be generating, Lambertson plans to sell three types of solid byproducts: a nitrogen-heavy soil amendment, a phosphorus concentrate and a potting soil. The MDA recently awarded him another $220,000 to start bagging his potting soil, potentially making it available for sale at garden centers. Lambertson plunged his hand into a 5-gallon bucket and scooped into his palm a clump of brownish dirt. Louise Lawrence, the consultant and former MDA official, said the program was accepting more grant applications through Dec. 28, with up to $3.5 million to be doled out. Its value so far shouldn’t be gauged by the success of the projects alone, she said, but rather the lessons gleaned from them. “I hope it has the longevity, so we get the answers we hoped to get when we started,” she said.